THE town of Kilmallock is one of 10 Irish towns to feature in the foremost global architecture exhibition, the Venice Architecture Biennale 2018 which attracts over a quarter of a million visitors. La Biennale di Venezia alternates every second year between art and architecture exhibitions, with 65 countries hosting national pavilions. This year represents a remarkable year for Irish architecture, as, for the first time, the overall curators of the Biennale are Irish: Yvonne Farrell and Shelley McNamara of Grafton Architects. They set an overall theme of FreeSpace with Freespace describing “a generosity of spirit and a sense of humanity at the core of architecture’s agenda, focusing on the quality of space itself”. Each participating country was asked to respond to this theme, and following an open call, the Free Market group was selected to commission and curate the Irish National Pavilion. The Free Market exhibition explores the story of Irish rural towns and examines the challenges they face as well as their potential as sustainable and resilient communities. The Venice Biennale attracts over 260,000 visitors over a six-month period from May 26 to November 25. The launch of the Irish Pavilion will take place on 24 May. “Kilmallock will be represented in Venice (known as The Floating City) in photography, drone images and drawings of the town and a specially commissioned sound piece by Grey Heron Media based in Kilfinane. This event presents a remarkable opportunity to highlight Kilmallock to a global audience,” said architect Miriam Delaney of Dublin School of Architecture. This is the first time that small towns and their market places have been the subject of the Irish pavilion, and it is also the first time the exhibition will return to tour small towns of Ireland. Free Market will return to Ireland in Summer 2019 and will be exhibited in Kilmallock. The tour will close with a major symposium in late 2019, which will gather architects, historians, representatives, policy makers, and stakeholders involved in towns. It is hoped that this exhibition and subsequent tour and symposium will become a catalyst in the way policy decisions regarding small towns are made and implemented. “The six curators want the exhibition to start conversations within the local communities themselves about what the futures of their towns might be,” Ms Delaney added. The Irish National Pavilion at the Venice Architecture Biennale is an initiative of Culture Ireland in partnership with the Arts Council. The Free Market team is grateful for the support of Limerick County Council. The other nine Irish towns selected for particular focus are, Athenry, County Galway; Ballinrobe, County Mayo; Ballyshannon, County Donegal; Bunclody, County Wexford; Castleblayney, County Monaghan; Kilrush, County Clare; Macroom, County Cork; Mountmellick, County Laois and Templemore, County Tipperary. 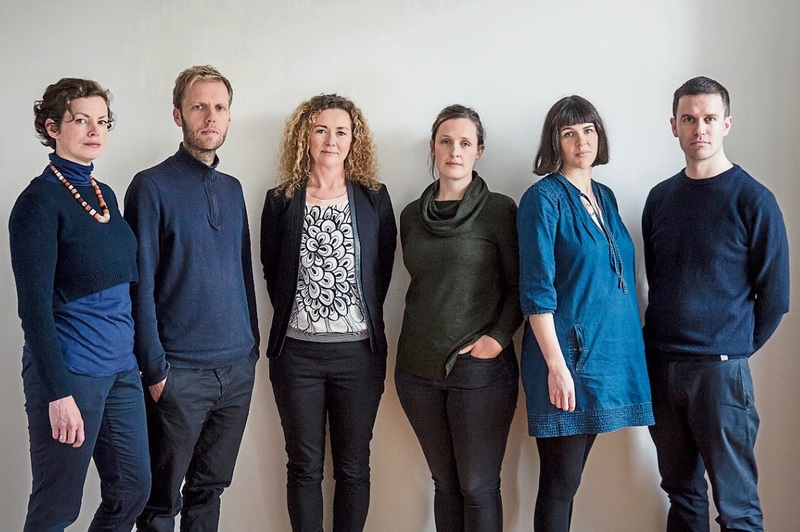 The six young architects and designers who proposed an exploration of the market places of small Irish towns include Jo Anne Butler, Jeffrey Bolhuis, Miriam Delaney, Tara Kennedy, Laurence Lord, and Orla Murphy.